The title is still under discussion btw. This post replaces a previous version as we got new images. 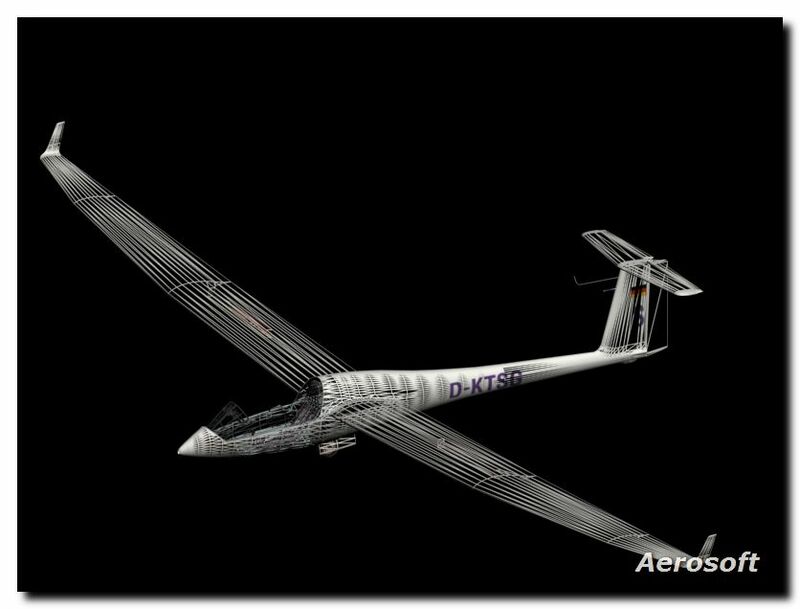 Gliders are GREAT fun in FSX. The glider missions are by far my favorites and the new thermals are really pretty good. If you really are careful you can even feel under what wing the thermal is and steer into it. 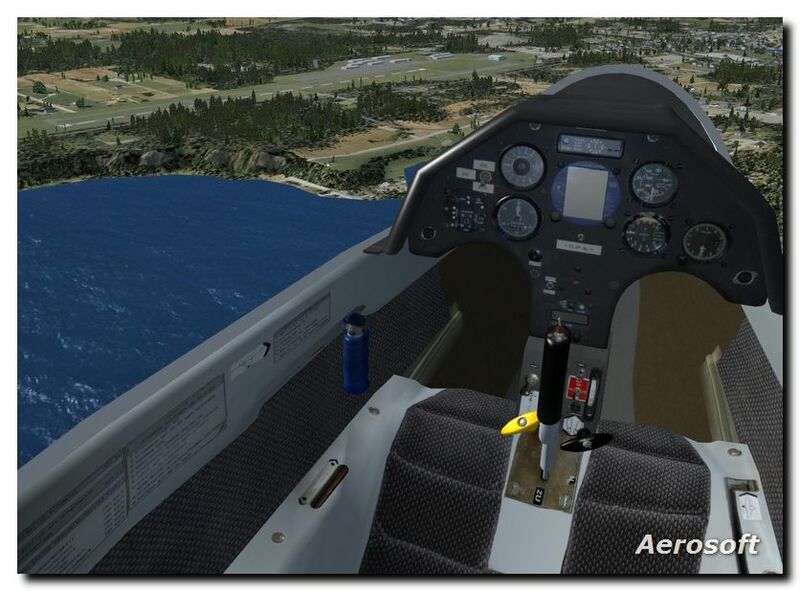 As we also have the tow aircraft in FSX a whole new aviation world is available. Most importantly we found a guy (Joachim Schweigler) who knows how to make it look good and flies the aircraft himself (a rare mix, believe you me!). 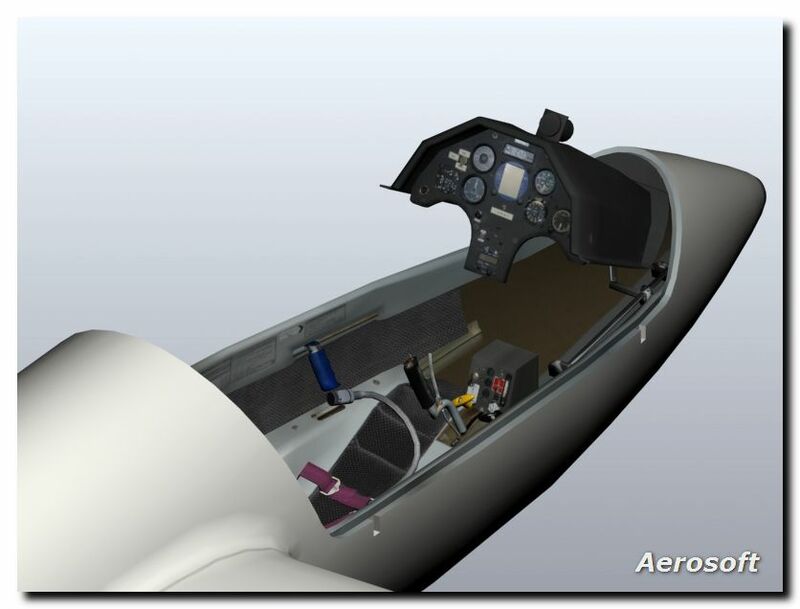 We'll also do a gauge set that is very high end and will include what gliders call a 'flight computer' that helps you along your route. These are small but complex gauges and you will be surprised how much info there is to be found in them. Release is scheduled this spring and we'll report more when we got more information. The cockpit looks a little deserted, though... will you add a pilot as was done in the Katana for example? Maybe, maybe not... We will see. If I am honestly, I don`t know, how it will look. Please note, that this are Work in process screens. there are round about 40% of the details, that will come! With the camera position pulled back in the VC pictures it will indeed look deserted, but I'm sure when the view point is as the pilots would be, it will look fine. I personally dislike seeing legs and hands in the VC, but appreciate that others may like this. This position is nearly that, what you see, when you are in the plane. You do not sit, you lie in it. 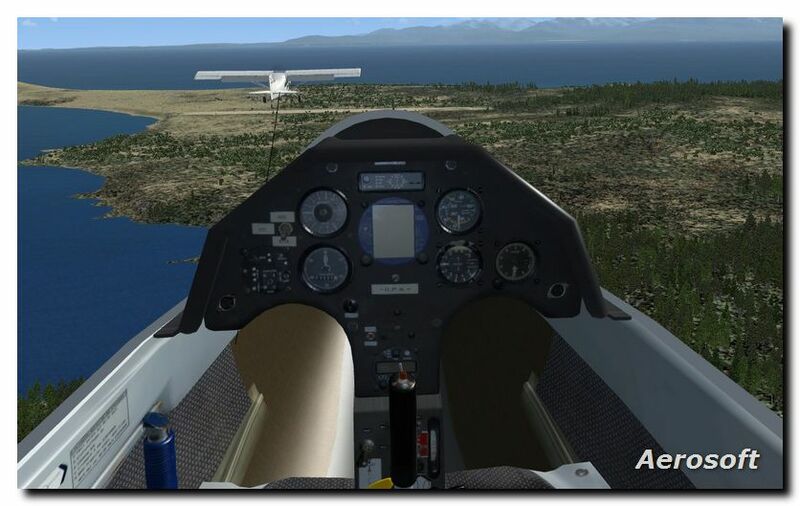 I soloed and got my ticket in sailplanes back in 1980, and have really enjoyed the glider missions in FSX, now this! 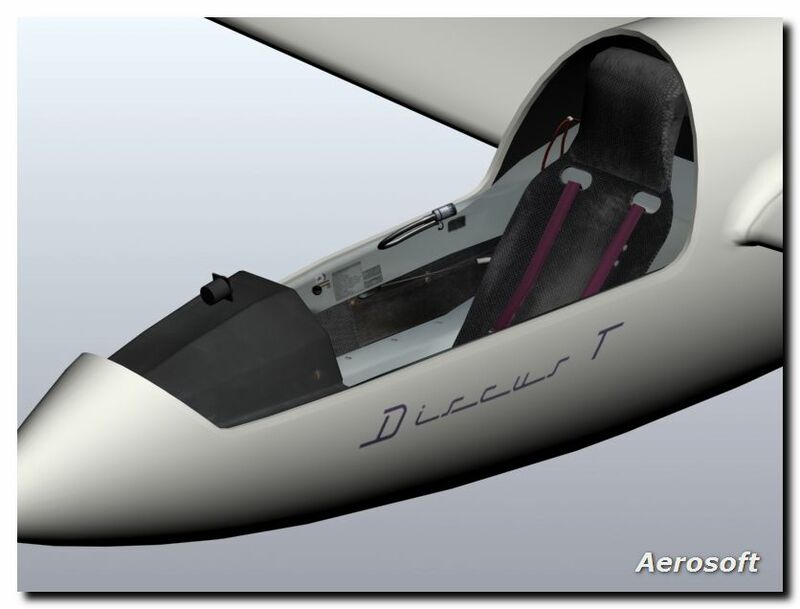 The Discus is looking like a real competitor, and I will be an early buyer, Thanks for this Mathijs. 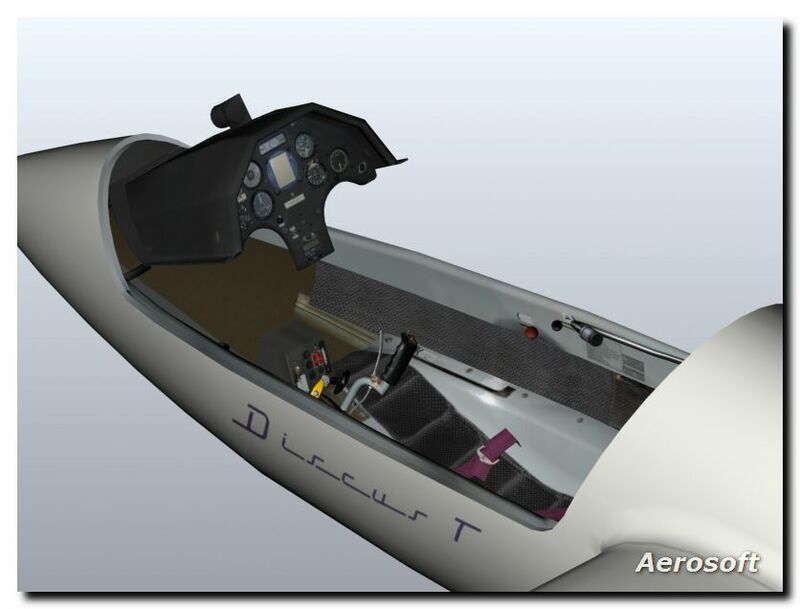 BTW, not having flown gliders for some while, I am guessing that the "flight computer" is a more capable replacement for the Sohlfahrtgeber (my German is non existant). Correct? It is far more, than just a "Sollfahrtgeber"
It calculates for example the arrival high at the airfield of your choise, or says if you should circle in a thermal, or not. There are many things to calculate with GPS. For example this thing can tell you, from where is blowing the wind and how strong. Well I hope maybe this will be the first of many - a Ventus 2cx or ASG29 maybe nice! Looking forward to the Discus. I'm glad you chose the Discus... Alway thought a most attractive Glider. 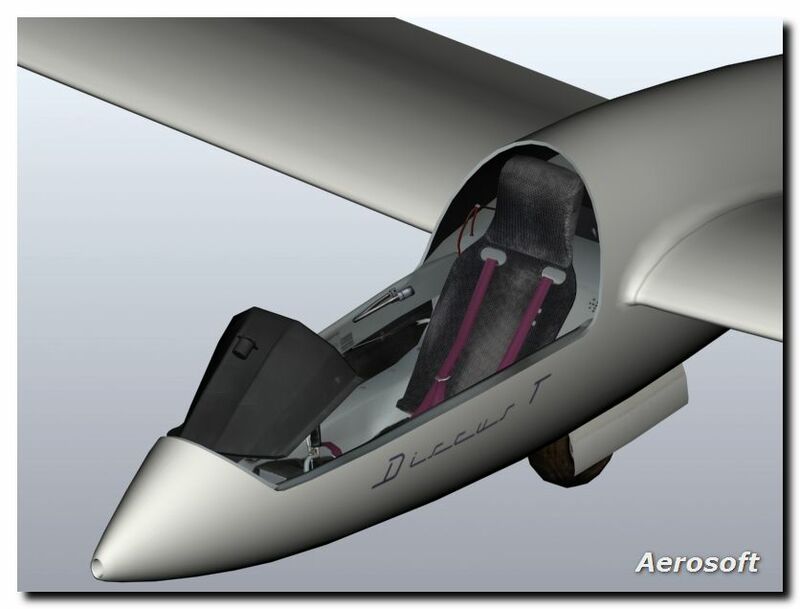 Do you have any plans to do some suitable glider Club scenery for this? I made some new screens today. 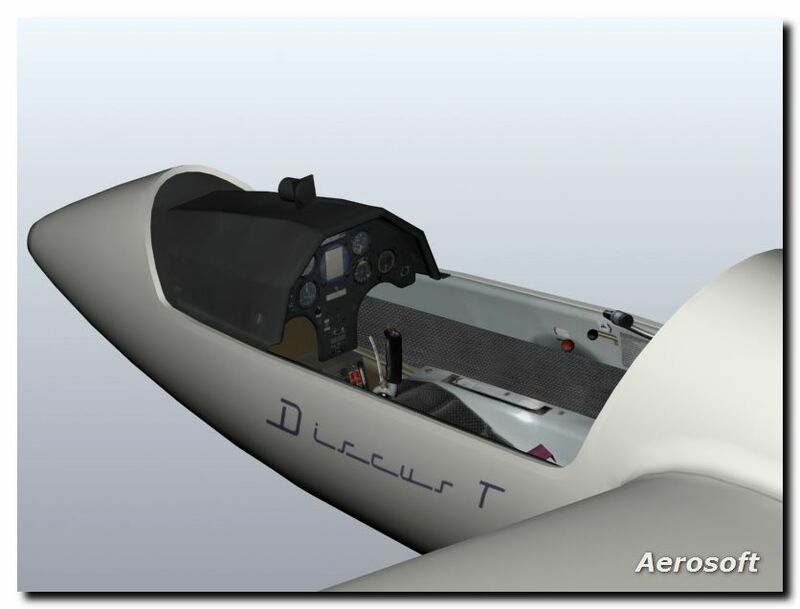 Work in progress or not, it is a beautiful sailplane and well executed in the pix. It looked like a nice day for soaring, fair amount of fluffy Cu, makes for decent lift. 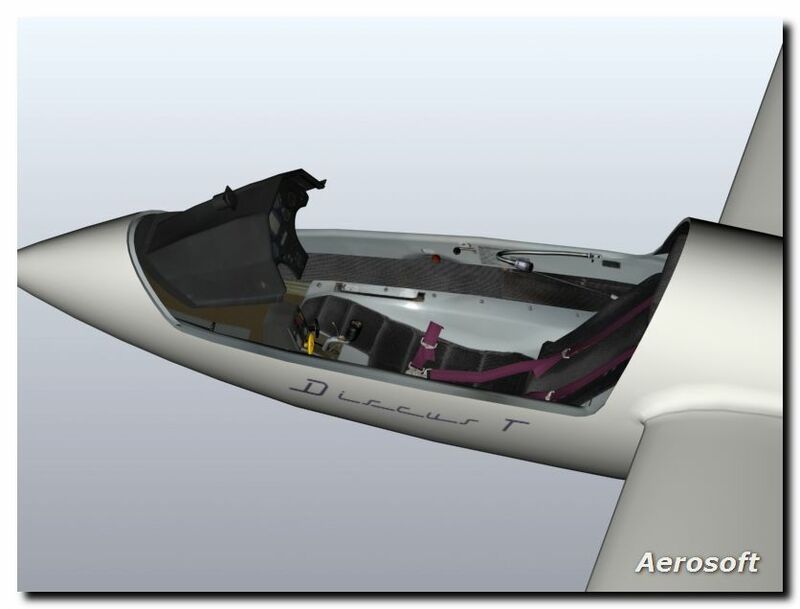 I am extremely interested in seeing this aircraft and flying it in some areas I flew in lesser machines, wave soaring in Colorado and Napa Ca. and trying a trip down the lee side of the Appalachians. There looks to be too much "illumination" here. Its a beauty Joachim. ..thanks for posting some more screen shots. look forward to seeing the model with a nice pilot figure in the office. Any chance you can do him animated so his head looks around? Love the Canopy Glass BTW. same goes for the elavators? and how bout er how ya guys call it... the little wire taped on to the canopy? Oh, you mean the piece of wool?